The performance of Ha Ji Won has received praises before the broadcast of MBC TV new Wednesday and Thursday drama series King 2 Hearts. After Ha Ji Won appeared in the MBC TV drama Damo in 2003, many people willingly impressed by her charm, then she has also been filmed SBS TV’s Something Happened in Bali, KBS 2TV’s Hwang Jini, and SBS TV’s Secret Garden, all works have been popularity, becoming focus of attention at that time. 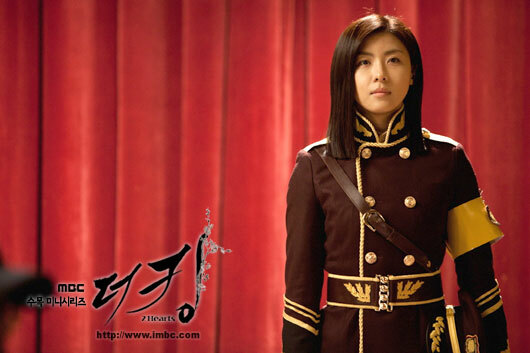 And, the director of King 2 Hearts is actually director Lee Jae Kyu of Damo who made Ha Ji Won a star. After 10 years, both of them cooperates again, attracting even more attention from industry insiders and fans. Currently, fans of Ha Ji Win are awaiting her return, it is envisaged that she will once again make people impressed with the charm of her acting. Ha Ji Won who is playing the role of North Korean Special Forces instructor Kim Hang Ah who experienced intricate entanglement, is writing a love song with Lee Seung Gi who plays the role of South Korean prince Lee Jae Ha who is cynical and arrogant. Lee Seung Gi will become the man of Ha Ji Won after Lee Seo Jin, Jo In Sung, So Ji Sub and Hyun Bin. The succeeding drama for national drama The Moon that Embraces the Sun, The King 2 Hearts, debuts on March 21st, 2012.